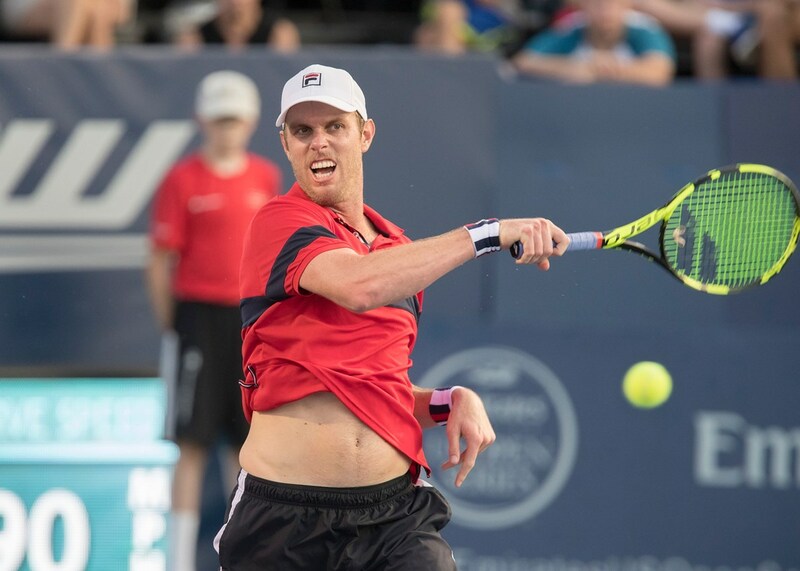 WINSTON-SALEM, N.C. (July 3, 2018) – Crowd favorite and world number 13, Sam Querrey, has committed to play in the eighth Winston-Salem Open. Querrey has been a fixture throughout the tournament’s history, appearing five times and reaching the semi-finals three years in a row (2012-2014). The 30-year-old recently reached a career high ranking of 11 earlier this year after finishing 11 straight seasons inside the ATP Top 100. Querrey has 10 titles to his name and reached his first Grand Slam semi-final at Wimbledon in 2017 – the first American to do so since Andy Roddick in 2009. Querrey has helped the American men reach the Davis Cup semi-finals twice, in 2008 and 2012, and is a capable doubles player with five titles and a career high of 23 in the world. “We always enjoy having Sam at the Winston-Salem Open. He’s such an accomplished player and an all-around nice guy. Given the effectiveness of his huge serve and forehand, especially on the hard courts, he will be in a great position to make a deep run this August,” says Tournament Director Bill Oakes. The Winston-Salem Open is the final tournament in the summer-long US Open Series. This ATP event began in 2011, and in 2017 the tournament reached a global audience of more than 3.5 million in more than 100 countries. It won ATP Tournament of the Year in 2016, as voted on by the players. The Wake Forest Tennis Complex will host the tournament August 18-25. Tickets are now on sale.Visit www.winstonsalemopen.com for detailed pricing information and seat availability. Now in its 15th season, the US Open Series links seven North American hard-court tournaments to the US Open final over a five-week period. The series showcases the world’s best players on both the WTA and ATP World Tour. Featuring a cohesive schedule, the Series centralizes the way tennis is viewed in North America, across multiple television and digital platforms. Fans will see today's top champions go head-to-head with tomorrow's emerging stars, as storylines develop throughout the summer season. Each tournament also engages its local community with a variety of outreach initiatives, including grassroots youth tennis clinics and activities. The ATP is the governing body of the men's professional tennis circuits - the ATP World Tour, the ATP Challenger Tour and the ATP Champions Tour. With 64 tournaments in 31 countries, the ATP World Tour showcases the finest male athletes competing in the world’s most exciting venues. From Australia to Europe and the Americas to Asia, the stars of the 2018 ATP World Tour will battle for prestigious titles and Emirates ATP Rankings points at ATP World Tour Masters 1000, 500 and 250 events, as well as Grand Slams (non-ATP events). At the end of the season only the world’s top eight qualified singles players and doubles teams will qualify to compete for the last title of the season at the ATP Finals. Held at The O2 in London, the event will officially crown the 2018 ATP World Tour No. 1 presented by Emirates. For more information, please visit ATPWorldTour.com.